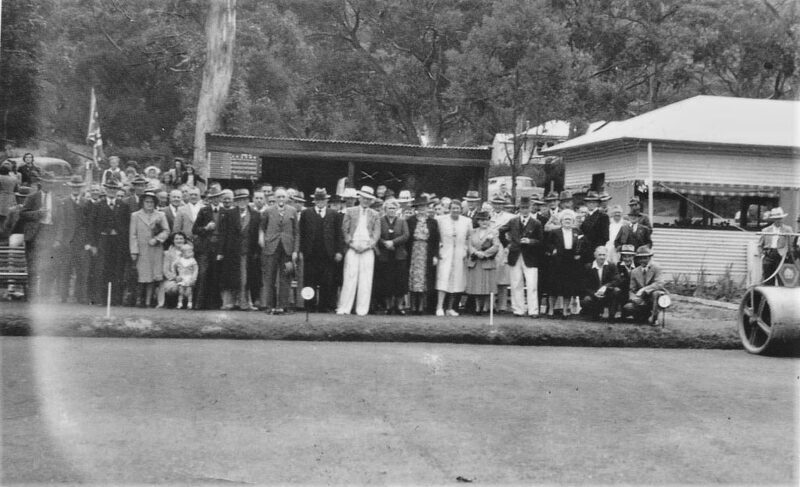 Grampians History | » Halls Gap Bowling Green 2. Halls Gap Bowling Green 2. Grand opening of Halls Gap Bowling Green.Building on the right is the Kookaburra Cafe.